Edible gardening—aka foodscaping—is becoming a big hit in outdoor living design as we look to the 2015 outdoor season here in the Hudson Valley. Edible gardening—the idea of mixing edibles into the traditional landscape plantings of a home—is gaining steam as a younger, more health conscious generation begins to purchase homes of their own. It’s really a beautiful thing to see a traditional landscape plantings of Hudson Valley go-to’s like Lavender, Spirea, and Boxwood right alongside lettuces, herbs, and berries. And why not, right? The best placement for edibles is in full sun, often found in the front of the house. Mixing edibles with ornamentals helps homeowners to get more value from their landscape investment by providing better use of this prime, sunny space. Edible gardening’s rise in popularity can be attributed to the growing awareness of the nutritional pitfalls of mass farming. Folks in their early 30’s are striving to provide more local and organic food for themselves and for their children. But at the same time, there are simply not enough hours in the day for these homeowners to tend to the traditional vegetable gardens of the past. 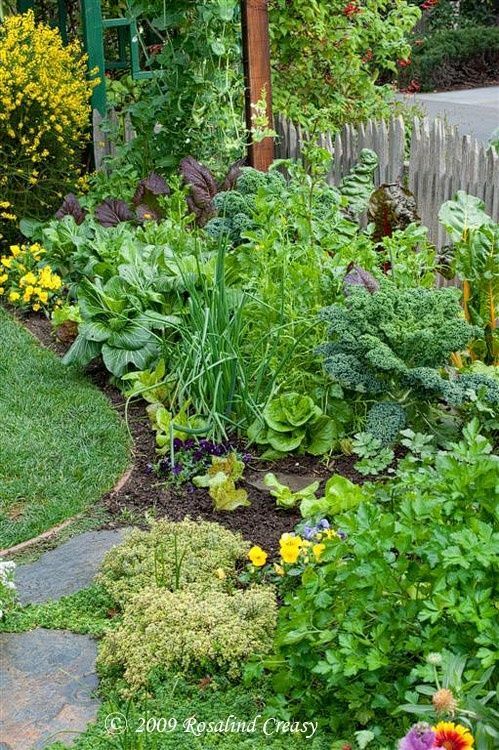 Foodscaping becomes a very attractive solution, offering fresh herbs, berries, lettuces, and vegetables with little additional effort. So choose a few of your family’s favorite veggies and plant them along side those existing boxwoods. Enjoy the simple pleasure of going right into your own backyard with your children and picking a fresh salad for Sunday’s family dinner. Sounds like the perfect mix of traditional and modern day worlds!